Winemaker Nicholas Maloney is a Sonoma native who operates Father John Wines, dedicated to the late Reverend, John Weaver, a renowned Episcopalian priest and Nick’s grandfather. Nicholas has spent considerable time in Burgundy, having studied at and graduated from the world-renown Lycée Viticole in Beaune. He has developed his winemaker skills with stints at Maison Ilan in Nuits-Saint-Georges, and Domaine Rollin in Pernand-Verglesses as well as Clos du Bois and Porter-Bass in California. 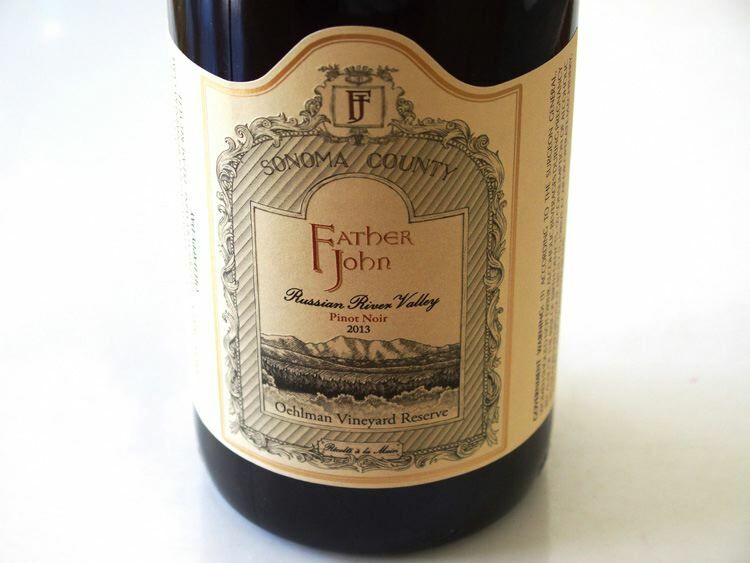 Father John was launched in 2010 with a Pinot Noir from Oehlman Vineyard on Vine Hill Road in Graton. The 2014 Father John Pinot Noir is currently one of the few American Pinot Noirs to be found on restaurant lists in Burgundy and is especially popular with the Swiss, Belgians, Danish and English. With the 2015 vintage, he has added a vineyard in Mendocino County that has Martini clone Pinot Noir vines dating to 1968, and a vineyard on Mendocino Ridge. He is also releasing a Bourgogne wine he crafted in France and imported to the United States. Father John wines are sold mainly to Europe with exports making up over 60% of total sales. In the United States, New York, Colorado and the San Francisco Bay area are the top markets, with increasing interest from Asia. I recently visited Nicholas at his family’s apple farm just outside the city limits of Sebastopol where he has planted a vineyard on the hillsides of the ranch. He is hoping to make a single vineyard Pinot Noir from this new planting in 2017. I tasted two barrel samples from Mendocino County with 100% whole cluster and found them very engaging. Each year that Nicholas has been making Pinot Noir he has used less new oak and de-stemmed less. Father John Pinot Noir is sold through a mailing list at www.fatherjohnwinery.com. Tasting is available at the Maloney family ranch in Sebastopol by appointment.